Recently I´ve been visiting some natural caves in lesser known areas of Andalusia. Off the beaten track villages and inland towns. 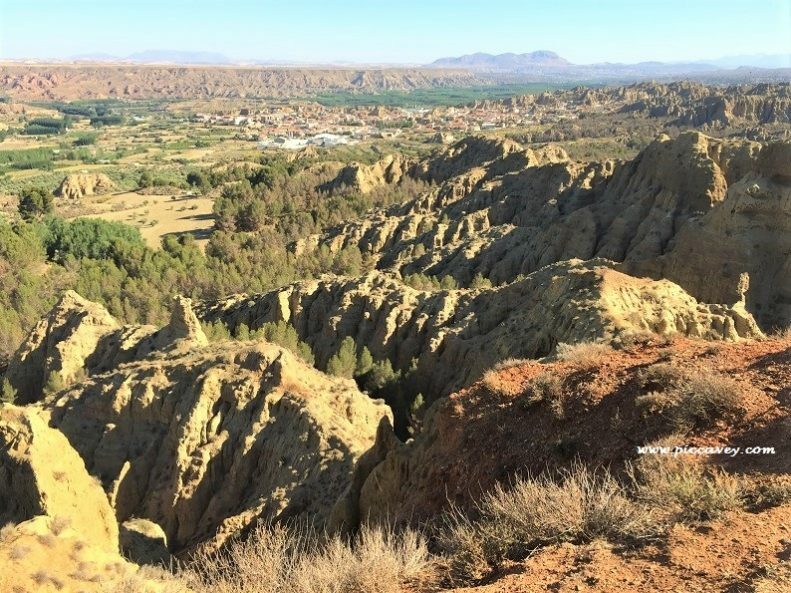 Among my discoveries I have learnt quite a bit about the geology of the region and was surprised to find such a wealth of caves in Andalusia. 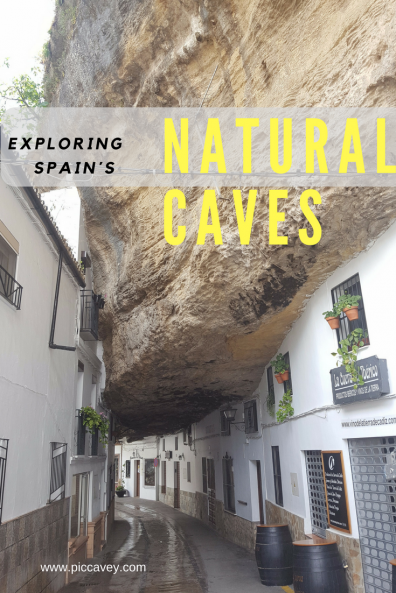 Here is my own personal list of natural caves and curious cave houses to visit in Andalucía. Arguably the most well-known due to their prime location on the Costa del Sol. This grand underground cavern is a joy to visit. The space inside the cave is huge. As you get inside you see that it has been adapted with walkways and railings. Walking through is easy, quitesafe for the groups going inside. There are panels along the route inside the caves explaining how this natural shelter has been used the centuries and ages. Also the way that these caves have been formed is also explained too. The photos are dark here, it is better to see it in person as the lighting makes it tricky to get good shots. Although this cave is less well known it is in the same area as the Nerja Cave. 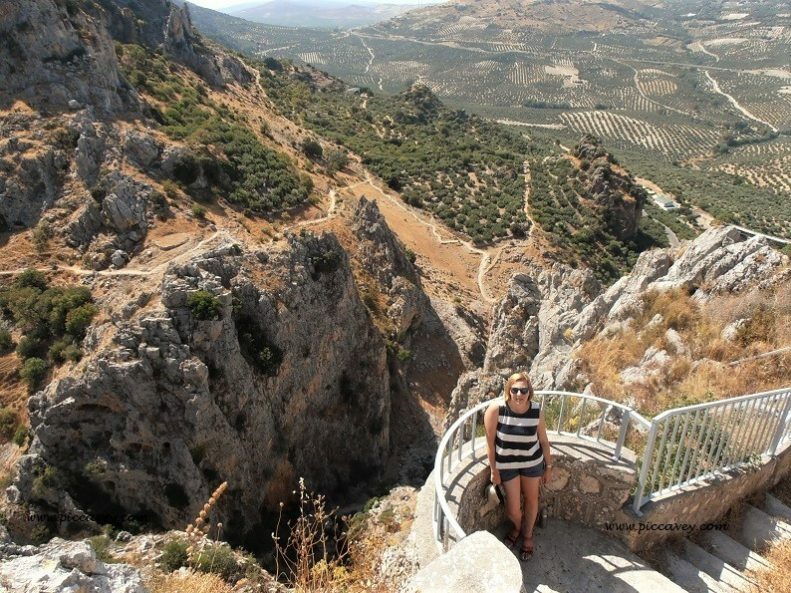 Just a 40kms seperate the Cueva del Tesoro from its big brother in Nerja – Maro. This smaller cave located in the Cala del Moral, Malaga shouldnt be overlooked. This cave has elements right back to the Palaeolithic and Bronze Ages. There are some visible cave drawings on its walls. Formed in deep sea many ages ago it´s interesting to see the wave formations and shapes in the rock along the walls today. There is a car park and visitors centre here. In the region North of Granada province there are lots of natural caves formed by the unique landscape and rock formations in the area. 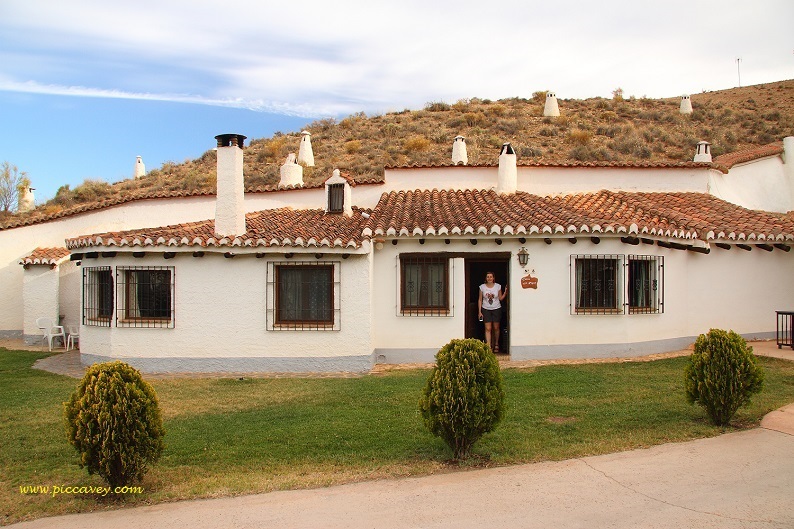 Towns such as Huescar, Galera, Guadix and Purellena are all good examples of locations with a high number of cave houses. Some of these caves are used as Restaurants, Hotels, Rural accommodation, homes and even vineyards. The cool interior and thick walls of the cave make a healthy natural environment all year around. Reducing the need for air conditioning even in hot Spanish summers and limiting heating in wintertime too. The isolation of the cool cave walls is a natural shelter which is the perfect place for a home. 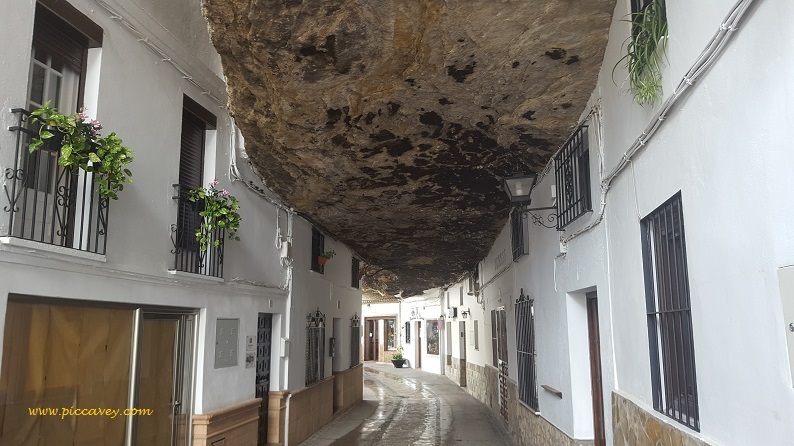 As you drive along through this region to the North of Granada towards Murcia, some cave dwellings can be clearly spotted from the road, whereas others are less obvious. 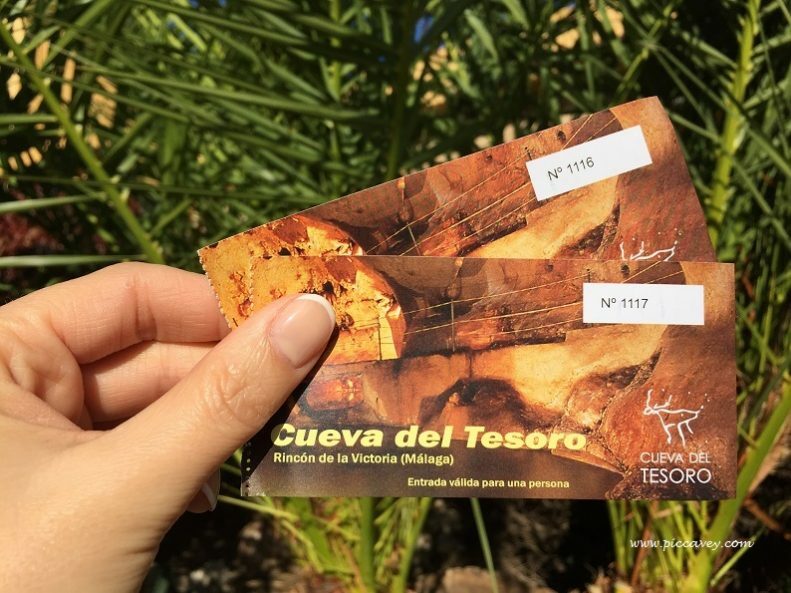 The best way to see them is to visit the Cave Museum in Guadix. This spooky sounding Bat Cave is located in the charming town of Zuheros. 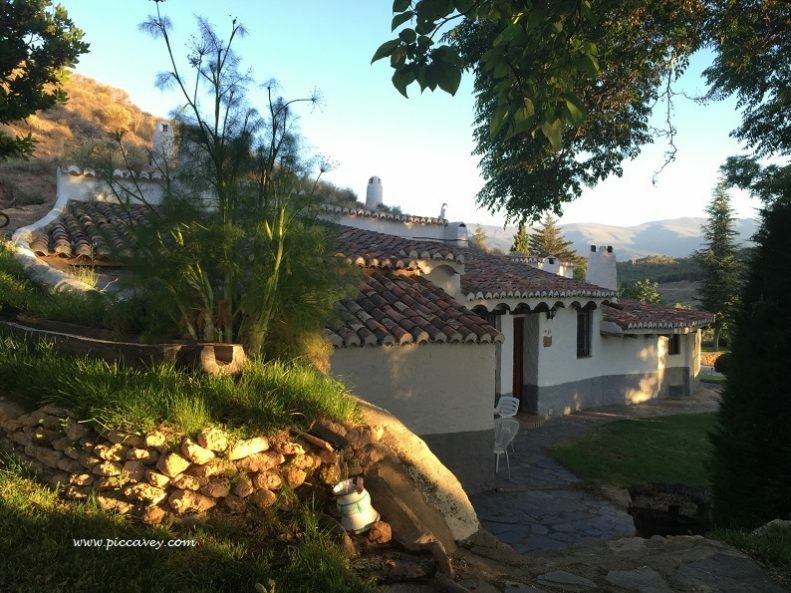 Well worth taking a day trip to this authentic location in Cordoba province. See the cave in the morning and the white town in the afternoon. The cave is located off road in countryside. To visit drive up to the visitor centre and park up. From there its a short walk along the road to the cave entrance. Before going there make sure you check the visiting times. Email to turismo@zuheros.es to book and get information. The guide only goes to the visitor centre and the cave when they have bookings. 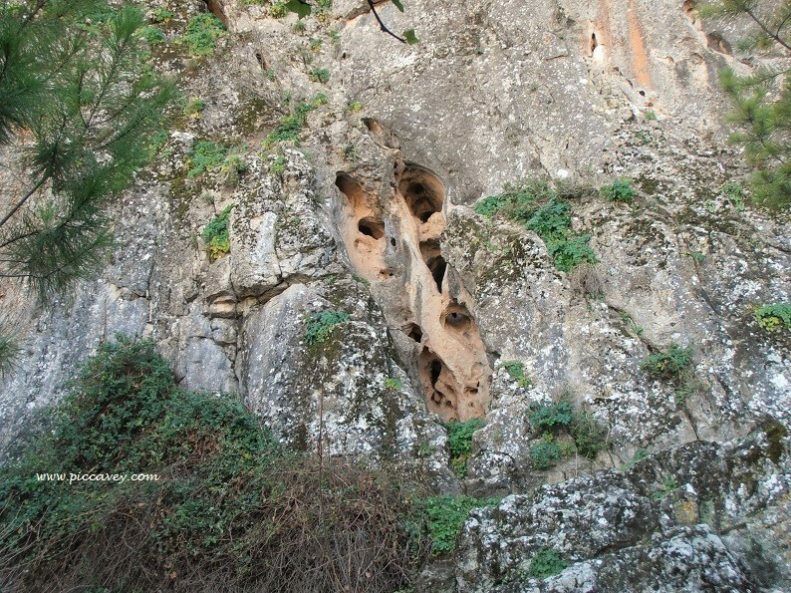 This cave does have bats living inside as its name suggests. Sadly the colony is much smaller than it used to be and you will barely notice these as you visit the cave. In the daytime they tend not to be active and they stay usually in the higher parts of the cave away from visitors. I saw two or three bats near to the entrance and some sleeping up high in the cave on my visit. This visit is slightly more tricky than other caves as it´s very deep. Almost 1000 metres at its highest point this is a huge space indeed. There are 2 kms of route inside the cave although the standard visit is much shorter. Wear good shoes as you climb steps down into the cave and also back up to return. It is cool inside so you may need to take a jumper or light jacket too. This cave is the largest in Cordoba province and has is important for the Neolithic finds that it holds inside. There are also cave paintings of horses and deer which are visible to visitors. Enjoy the shapes and shadows of stalagtites and stalagmites forged all those years ago by water. Discovered in 1938 and covering 32 hectares, this natural cave was actually discovered in 1868 although it was explored then. They have even found hunting items from cave dwellers son 35 000 year ago on this site. Known in Spanish as the Cave of the Windows, this cave in Piñar, North of Granada is great for those visitors who have small children or dont want to navigate lots of steps. Here it is all on one level. 1,200 metres long the route only visits the first portion of the cave and it is on a level walkway with no steps. The lower gallery has been equipped as a theatre so that musical concerts can be held to make the most of the acoustics of the cave in summer months. 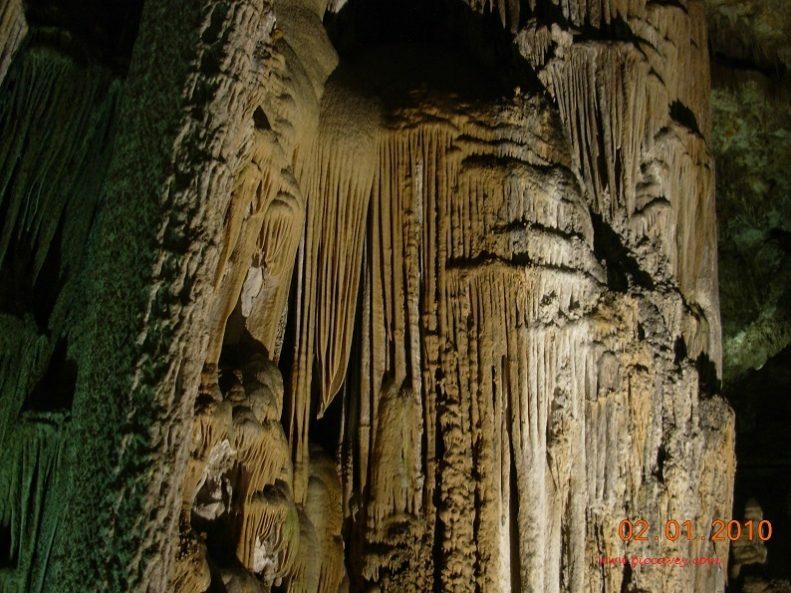 Inside the cave you can see rock formations like flowstones, columns, stalagmites, stalactites and delicate rock arches. To visit go to Calle Real in Piñar and the tourist train leaves from the square in the town to take you along to the cave entrance. Book by phone at the Granja Escuela to make sure there is a guided tour and the time. There are 4 each day. Inland from the Cabo de Gata coastline in Almeria. The Sorbas caves are the only gypsum karst caves in the world. As these formations dissolve easily with water, it is difficult to find them and maintain them. Of course in the desert like climate of Almeria this is the perfect location for these caves to have as it is so dry they have lasted over time. 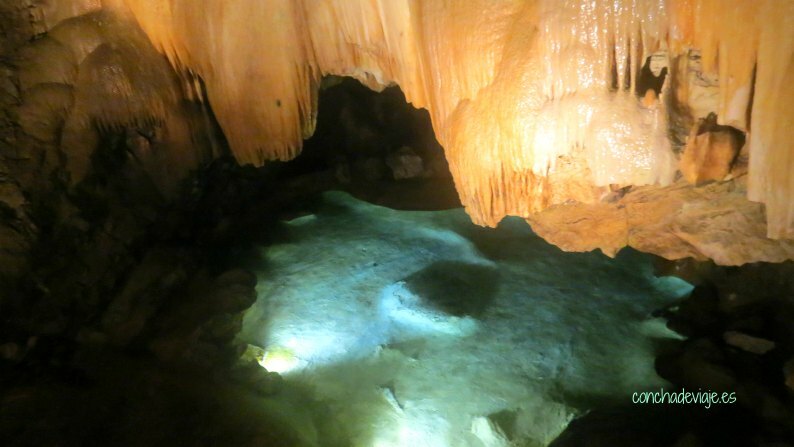 The guided tour takes 90 mins and underground you see stalagmites coral rings and other formations. The highlight is of course seeing the crystals twinkle in the roof of the cave as you walk through. The Cueva del Agua is the largest cave in this area and measures 8 kilometres. Wear good shoes or boots for this visit and comfortable clothes for the walk. A large car park is outside the visitor centre. The town of Setenil de las Bodegas in Cádiz is breath-taking. Basically instead of building to avoid the rocks and caves. The locals decided to put their houses making the most of the dramatic rocks hanging over the river bed. The town of Setenil has a natural lid on it. This location in Cadiz province is literally between a Rock and a hard place. 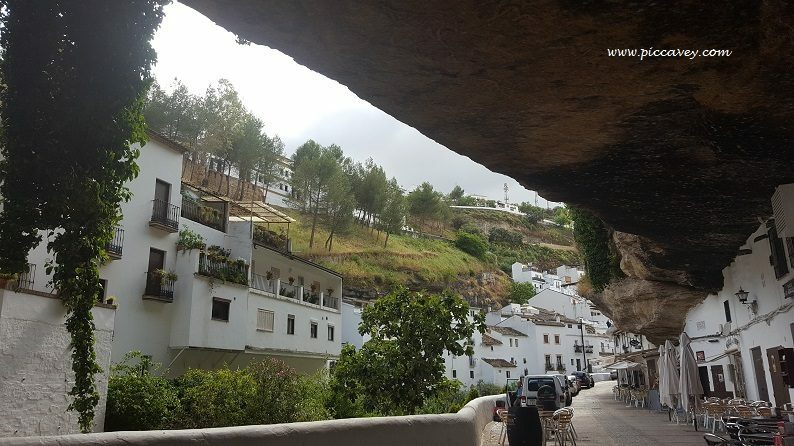 The Cuevas del Sol are caves lining the most typical street in Setenil. 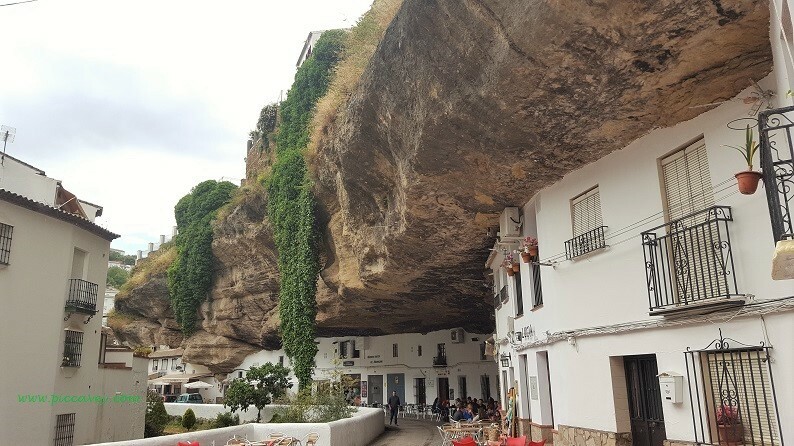 Some of the natural caves are now busy bars and restaurants, others are homes. You can stay in some of them as they are now holiday apartments. 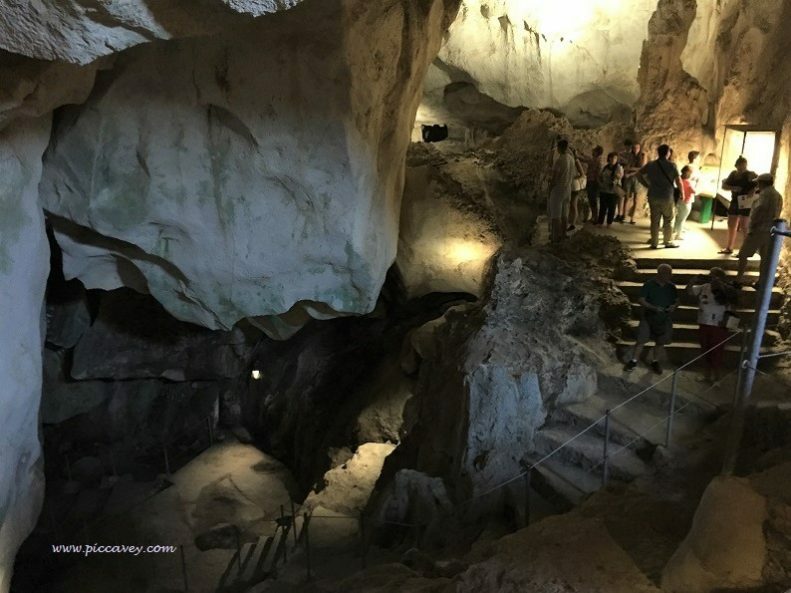 The first Spanish cave to be opened to the public was this stunning one in Aracena. 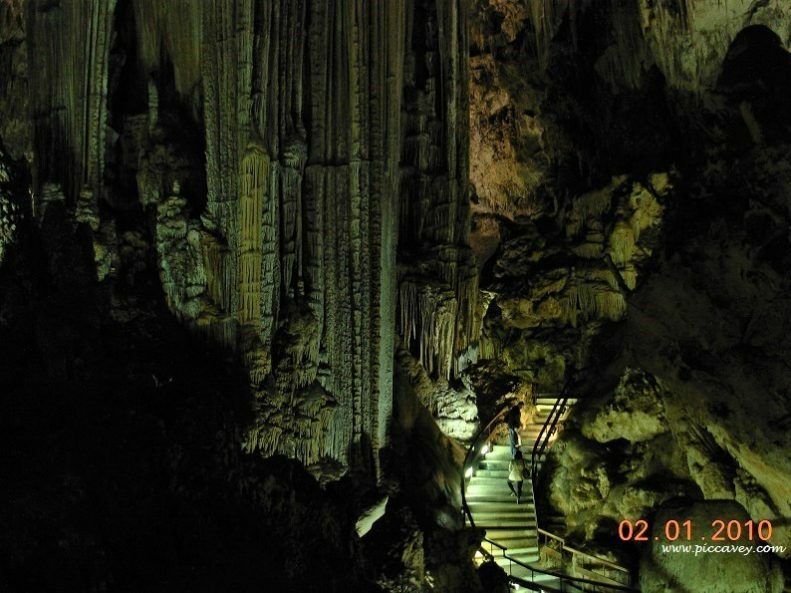 Located in Huelva province the Gruta de las Maravillas is a true gem of a cave. It is cool inside as the temperature is between 16-19C depending on the time of year. So take a jumper with you especially in summer months it´s easy to forget. This cave has lots of fabulous formations. Stalagmites, columns, and the water element makes its even more magical. Please note that you can´t take photos in the cave on your visit. 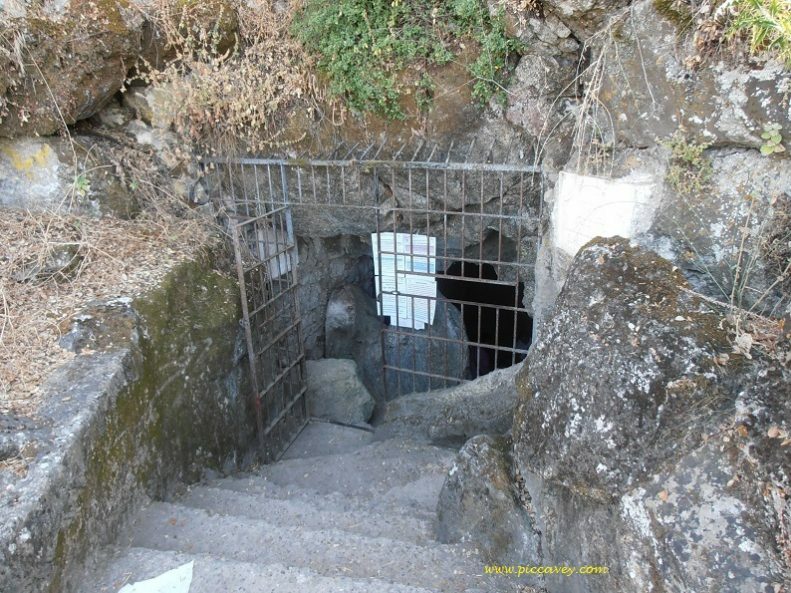 Some of the most well known caves in Granada are those in the Sacromonte. With their characteristic ceramic and copper decorations, jaunty colours and prickly pear cacti. They are quite unique and picturesque. There are several ways to visit these caves which have great views across to the Alhambra palace. or you can Enjoy flamenco in one of the typical Flamenco caves on that road. Why not stay in a Cave House yourself. Not technically a cave but it is underground. The Pulpi Geode is located in a Lead Mine in Pilar de Jaravia, Almeria. 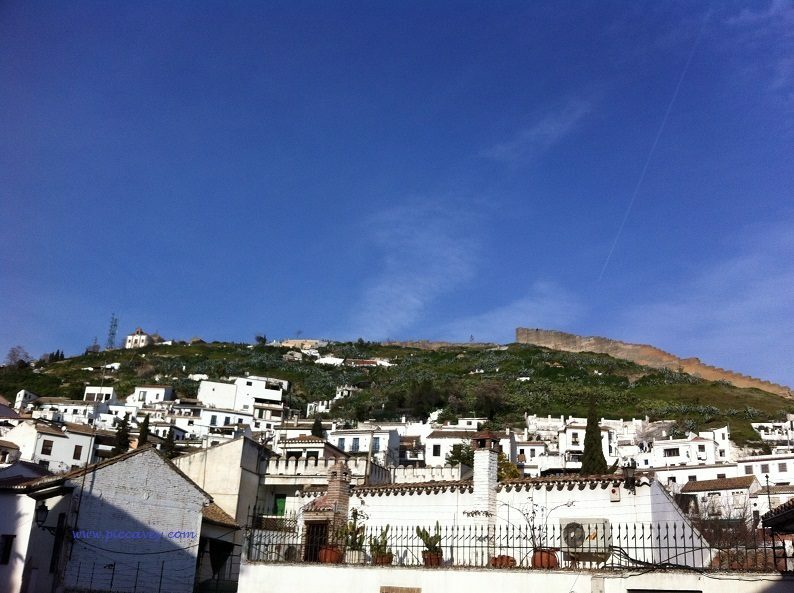 Although this cannot be visited at the moment you can see a virtual visit at San Juan de los Terreros which is nearby. 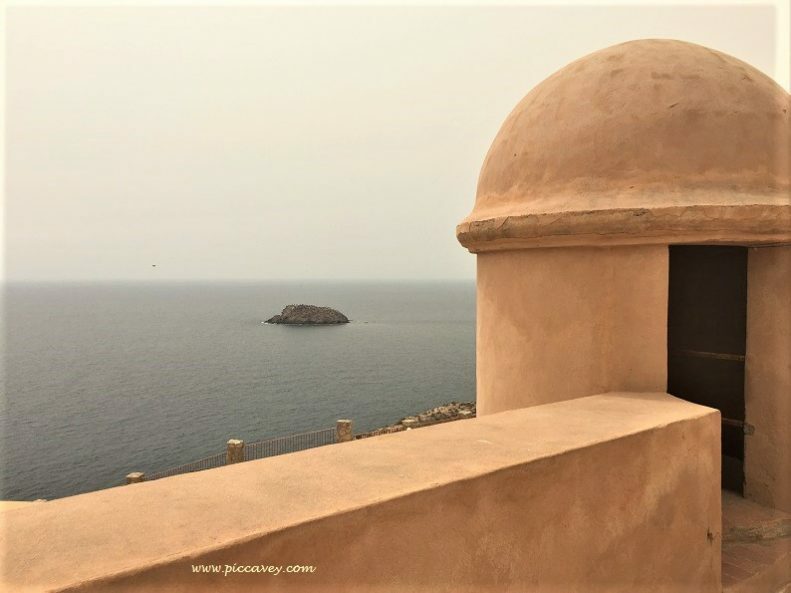 At the San Juan de los Terreros castle they have a digital visit to the geode. Its great to get an idea of what this amazing geological sight looks like. This underground treasure is a natural monument and considered to be the best preserved example of Gypsum crystals in the world. At 8 metres long (26ft) and almost 2 metres wide discovered in 1999 inside the abandoned mine. Located 60 metres underground at sea level this is a unique natural treasure. 10 people can actually go inside the crystal it´s that big. But even 3 people cause condensation on a short visit and can corrode the beautiful gypsum crystals. Composed of hydrous calcium sulphate – the crystals are half a metre in length. It is believed that this formation could have been created at the time of the Messinian salinity crisis some 6 million years ago when the Mediterranean Sea evaporated, leaving thick salt layer behind and creating the geode. 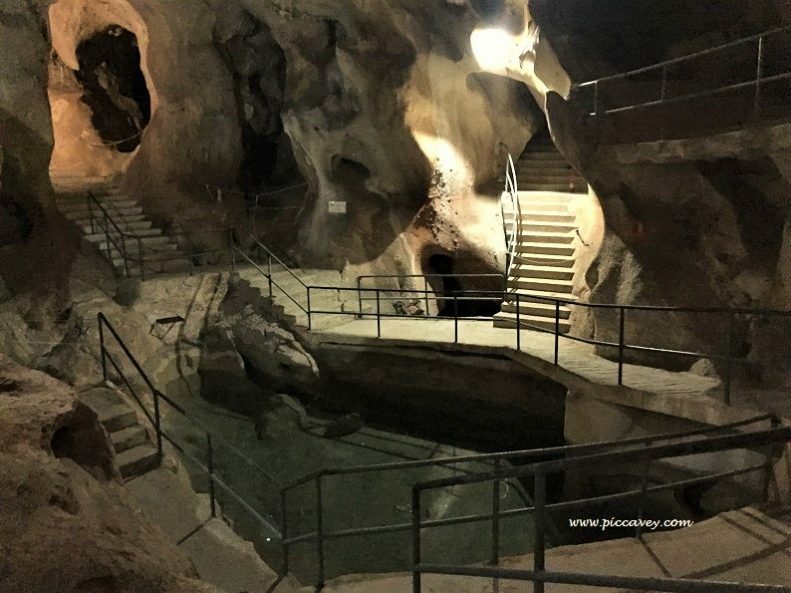 Cave exploring isn’t something that comes to mind when I think of Andalusia but reading your blog I did remember hearing about the cave houses in Granada. So cool! I knew nothing about caves in Andalusia although we regularly return. Thank you for the input! Never realised there were so many caves in Andalusia. You must have done some digging around. My first memory of Spain are the caves of Drac in Majorca, especially the boat trip as I almost fell in while taking a photo. I live in Seville, just up from the caves in Aracena. They were pretty cool. I remember the trip well as my dad used a carrier bag to keep his hair wet from the rain as we came out, as you do. Great post Molly. I have a home in San Juan de Los Terreros and have been to the 3D digital viewing to see the mine of Pilar de Jaravia.There are lots of abandoned cave houses in Cuevas de Almanzora too but access is now blocked off. It is hard to imagine how people lived in some of these caves which are quite high up the rock face. Love that part of Almeria. Great place to spend time. Yes the caves are quite fascinating. Would be fabulous to actually be able to visit that Geode one day! This sounds right up my street, will investigate next time I´m in the area.